Today in the Library we have June Moonbridge, who has dropped in to say hello and to share some insights into her life as an author. June Moonbridge is my pen name. I come from Slovenia, a little country in the middle of Europe. So I apologise for all the grammar mistakes I’ll definitely make, as English is my second language. I’m a full time working mother with two children and a husband. My biggest wish is to have a black cat (yes, my daughter still thinks I’m a witch!) and an Irish wolfhound, but I choose not to until I will have enough time for both. My writing started over two decades ago, when my teacher criticised everything I wrote. Being stubborn, I started to publish short and not so short stories in magazines just to get back honest reviews – and they were encouraging. I have three books published in my language and one in English, my second novel in English is with my editor and I’m waiting in anticipation for her feed-back. When it was time for me to learn how to read, I didn’t want to. But when I learned what books can give me, I was able to read 7 books in a week. As years passed so did the number of books. I like to read different genres and I read almost everything. I usually read every book I take in my hands, but there is one little thing. If it isn’t interesting enough after 20 pages, or if the way the book is written is not something I like, I don’t read it. This doesn’t happen a lot. 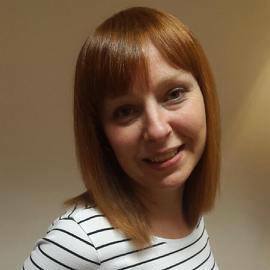 I’m traditionally published with an independent fiction publisher – Safkhet Publishing. 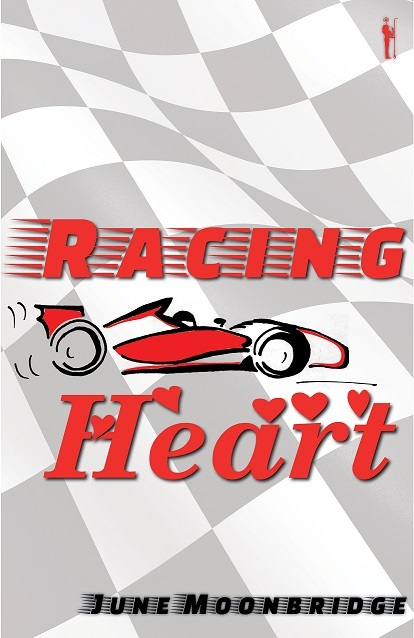 My novel Racing Heart is listed under Romance > Mystery & Suspense > Suspense. Why? I love a good romance and I love a good Mystery & Suspense, so I combined them. I think every single author I have read. Probably. Living in a small country of a population of only 2m, the way I see the world is probably different. To write the end. Last two/three scenes I find the most difficult to write. It’s probably because I don’t want my characters to let go. I overcome it when new characters start to be louder in my head than the old ones. I write when my family falls asleep. That means I write at night. But I always did, even before I had my family. The best thing about being an author for me is – learning and meeting new friends. In this digital world social media is an essential chore. I do enjoy it but it’s time consuming. Being a full time working mother, I’m not as present as I wish to be, but I’m trying my best. Being an author is (for the time being) only part of what I do. As I said, I’m full time working mother and I work as a Senior Buyer for a steel slewing rings production company. It’s interesting work, but I’m more skilled when it comes to buying steel than a lipstick. Oh gosh… Hmmm… I don’t know… I have so many books and e-books, I would probably choose one from my TBR list… but which… I really haven’t got a clue. My debut novel Racing Heart was published in July 2015, by Safkhet Publishing. At twenty-five, Desire Hart has experienced almost too much. Changing everything in her life – her identity, her hometown and her country of residence, Desire is determined that nothing will prevent her achieving from finding her missing son. Not even love. Set against the glamorous backdrops of Monaco, Paris and Nice, Racing Heart mixes romance and mystery as Desire struggles to come to terms with her past. Will she learn to accept love into her life again? So impressed by your time management skills, June. Thanks for sharing, Pam. Thank you Pam for having me. You don’t need to apologise for any grammatical errors, June – I’ve always found that writers with English as a second language have a far better grasp of grammar than us natives! Great post ladies. Give yourself a pat on the back, June. Grammar mistakes are not the sole province of those with English as a second language. You are doing well to have accomplished so much.